Indoor soccer is a hugely popular activity all across the world. In the US many individuals are slowly skipping the play of outdoor soccer and playing under shelter due to limited recreational areas in built up cities. Other reasons which are causing an increase in shift from outdoors is the longer and colder winters. 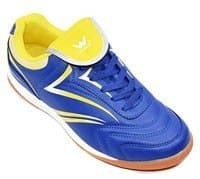 These have also been the reason behind an increase in futsal too, which is most commonly played on a flat indoor pitch. If you love to play either of this variety of sport, finding the best indoor soccer shoes is crucial in order to enjoy the game. 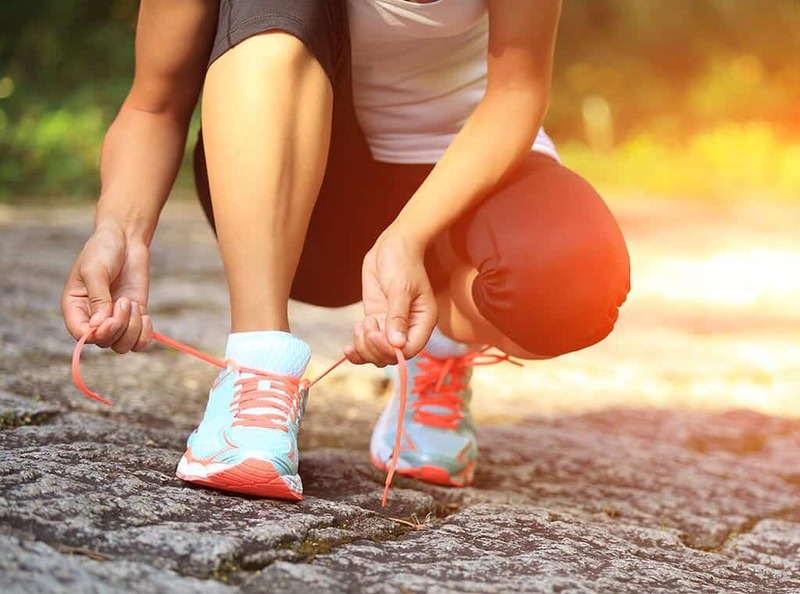 Whether it’s time to buy your first pair, or perhaps you’ve been through many of these sneakers and just fancy something new or a change, check our reviews and tips on choosing quality footwear for your next game. First of all, it’s important to understand that unlike regular turf or those used outdoors, futsal or indoor soccer shoes are designed for use on hardened floors, often wood. Though one can wear basketball shoes, futsal and indoor soccer shoes are designed to kick and be in contact with the ball. Thus, it offers a stronger stitching and overall strength compared to regular running shoes or those made for basketball. Next, it is important to know your foot type. Always ensure the shoe is going to be ergonomic to a foot’s anatomy. For example, do you suffer from flat feet? Do you need more support in certain areas of your feet? Perhaps you suffer from bunions and need a roomy toe box? These are typically the standard things to consider when buying any shoes, but shouldn’t be missed off when buying indoor soccer or futsal shoes either. It’s a good idea to check the insole support on offer. It has the ability to improve one’s ball control and offer better propulsion in your movement. 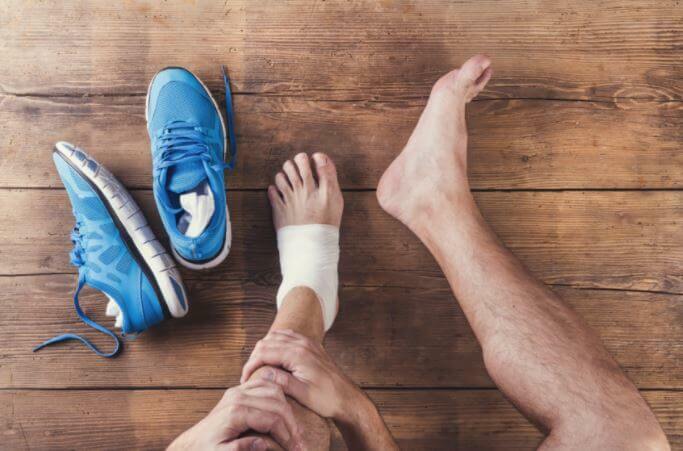 Additionally, insole support can also help reduce the wear and tear on your feet since it reduces the impact used to make the necessary fast paced movements for indoor football. Lastly, be sure to check the type of material used for the upper, or outer construction. There are top-of-the-line options that make use fully of leather. In most instances though, it is mixed with textile, which is perfectly acceptable, though may last less with regular usage. The Messi has been proven a tough contender when it comes to the best indoor soccer shoes. For the Adidas Messi 16.3 Tf , it offers zero wear-in time thanks to its agility touch skin upper. This allows the wearers foot to slip it on without any problem. It also offers a snug mono-tongue construction that allows its users to be explosive while playing, not to mention looking great at the same time. If you are looking to achieve the utmost performance in your game whilst looking great at the same time, these are worth every dollar. This little beauty makes use of AdiPrene technology that allows the heel to have less impact during play. It also has asymmetrical lacing to make sure the sneakers are snug in the most crucial moments of the game. Lightweight and stylish, the Adidas F10 is a great option especially for those that have been experiencing any types of foot pain, especially that which radiates from the heel. In addition to this, if you like your sneakers to stay clean, this is easy to maintain due to the synthetic upper. The Adidas Performance X kids indoor football shoes are the type that have been made based on the anatomy of children who love to play futsal or soccer. It has a lightweight techfit compression design that provides the perfect fit which is required to enjoy the game. It also has a zero wear-in time design that allows the player to wear without too much hassle. This tough cookie can also be used to strike the ball with great speed and precision without worrying about damaging the surface of the sneakers due to the durable manmade material of its upper. The Adidas Samba is a classic design from one of the best sneaker brands in the world. Although they make plenty of studded cleats, these are particularly good for a game of indoor soccer where studs are far from welcome. 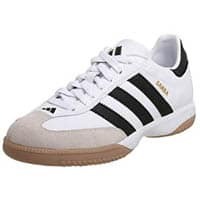 Made of synthetic leather material, the Adidas Samba Millennium have become a favorite not only for its timeless aesthetics but also for its overall durability. It also has a pre-molded Eva midsole that gives the user the cushion that he or she needs especially when running on hardwood surfaces. Lastly, the excellent traction on indoor surfaces with its gum rubber outsole is second to none. Aside from its aesthetic bold colors, the lightweight Adidas Performance Men’s X 15.2 CT is the epitome of the ideal futsal shoes. Boasting an extra soft upper that promotes comfort, the outsoles provides superb grip that can give players the ability to showcase game in style. According to its manufacturer, the X 15.2 has an aggressive traction design that provides excellent grip on court surfaces. It is made of both synthetic and textile material and was built for long and intense durations of playing indoors. If seeking a lightweight and comfortable type of footwear, the Larcia Youth is one of the best options for kids on the market at present. Designed for both boys and girls, it offers great floor grip thanks to its outsole stitched directly to the toe box. This cleat also doesn’t chafe because of its lateral stitching and padded tongue. And since it is designed specifically for kids, it has the ability to promote agile and rapid movements for the young athletes without affecting their feet or compromising support. Featuring a slip resistant and non marking outsole is also an added bonus. 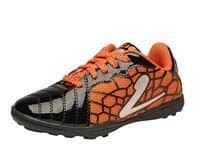 Made from both synthetic material and mesh, these stylish indoor football shoes are a great choice for kids because of its ergonomic and comfortable design. It has cushioning fabric sockliner that not only lessens the impact while running but also molds to your foot’s natural form. They also lessen the chance of injuries as it allows to lace-up closer providing a snug fit. If you are looking for something that can provide traction on all tough surfaces whether outside or inside, these Nike’s are a great option. The Puma Invicto Sala are made of leather and textile material wich is a great combination for futsal and indoor football (as it’s known in the UK). They are considered by many as a serious pair of footwear for those who love to play hard and fast whilst indoors. It offers both protection for feet and oozes an overall durability. There is also an abundance of grip allowing for the extreme mobility needed when playing alongside your team. Also featuring an optimal cushion thanks to its removable sockliner, this greatly lessens the stress on the user’s feet and legs especially after lengths such as 90 minutes of play. Made with a combination of both leather and fabric, the lace-up Tiebao is best known for both performance and its cool aesthetics. An EVA midsole does well to offer unrivalled comfort in this budget range too. One of the best things about these sneakers are its rubber sole, which is a skidproof design that allows the wearer to move without worrying about potential dangers especially when changing directions when running around. 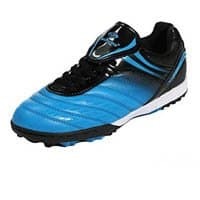 These indoor football shoes for boys are durable, look great, suit many different surfaces, and are competitively priced too. The Walstar Indoor Soccer Sneakers for men is a one of a kind option simply because of its hand-made materials. Unlike others that have been mass produced, it’s easy to notice the exceptional attention to detail for this particular model. It has the necessary cushioned insole that adds comfort and rotational traction configuration that allows for superior grip when moving around on different surfaces. And also, this shoe is lightweight which makes it easier and less strenuous when running and moving around.